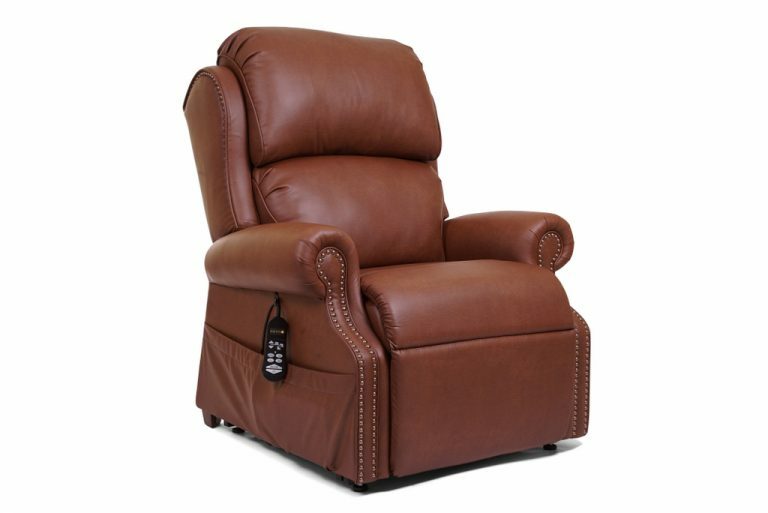 The Pub chair is a traditional style two pillow waterfall back recliner featuring decorative brass nail head trim on both the arms and wings. The supple waterfall, zipper back design allows for customizing comfort. This dual motor chair is part of the MaxiComfort series. Recline in style! NoteEvery Chair is a Builder chair with 6 week lead time. Size: Medium Height Suggested 5'4"- 5'10"
Extension reclined from Back of Seat to end of Foot Rest 43.5"